Now, open the Emulator application you have installed and look for its search bar. 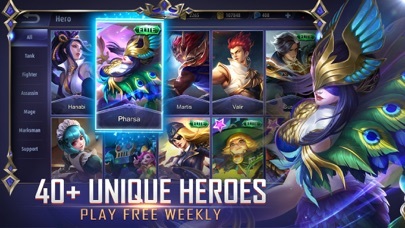 Once you found it, type Mobile Legends: Bang Bang in the search bar and press Search. 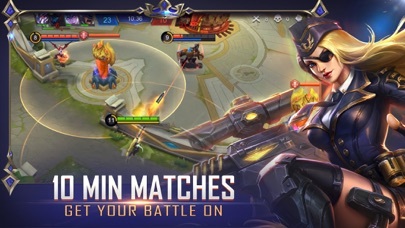 Click on Mobile Legends: Bang Bang application icon. 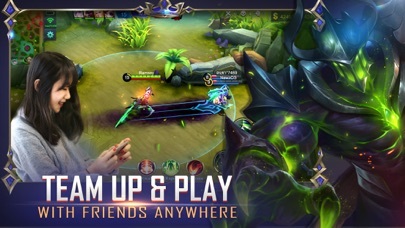 A window of Mobile Legends: Bang Bang on the Play Store or the app store will open and it will display the Store in your emulator application. Now, press the Install button and like on an iPhone or Android device, your application will start downloading. Now we are all done. Please developers hear me out. When a player is AFK the systems does really well to detect and punish players for their actions for causing the thrill of the game for other players. But when I’m playing a rank match and a player is AFK It caused us the whole game, but that’s not the issue, the issue is the cost of the game where our rank or our stars would be taken out because we lost the game since a player is absent for the whole match. I wouldn’t have mind losing the game because of an AFK and our stars are protected should the systems detect that a player is AFK during the match. I would rather have my stars and ranks protected rather than the AFK player being punished, because I really wanted to reach higher ranks and of course the AFK player would not receive this benefit and lose his or her progress. But it’s very difficult since the players absent are being punished but we other players have to suffer more than the game, but also our stars. 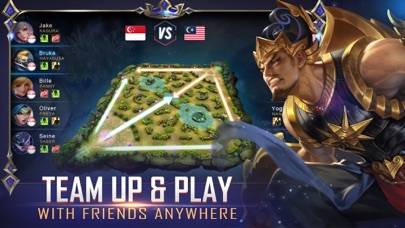 I say this because other platforms like Vainglory protected our ranks should a player be found AFK, which made it easier to increase our progress and climb up the ladder. To players who are high ranked one or two stars are very sensitive and hard to earn since the matches are more intense. It really is unfair that by a bad luck we earnest players have to suffer more than the match, also but our progress as well. I hope that you read this message and consider this request. - Great Game though, Thank You. 3 stars!? Here is why! I love this game very much and I have a very good rating So, I hope you understand that I have been playing long enough to discuses this issue and I’m not just rambling. The thing that I believe is wrong with this game is what and why most people quit and hate this game for!!! If the company would fix this, then this game could be the best mobile game in its class, I believe hands down!! The problem with this game is the playing system! In classic or rather in rank “ rank matches being the most important type of match in this game mind you” the way it works is this. 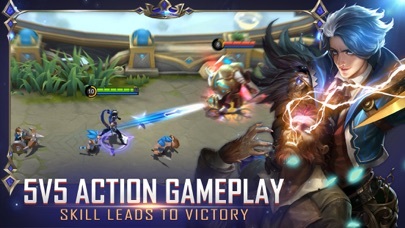 Four players are randomly chosen to go up against another team of four random players in order to go head to head in a moba type game style in order to gain points and go up the ladder of champs too different category’s. The problem is that it is almost impossible to get a team to do what it is to win the match! Out of the four one players gets a disconnection 80%of the time! Another player on your team 50% of the time is completely selfish and stays in the jungle while your stuck fighting and defending all the turrets either by your self or with the remaining one players against the other team of four! So they see this group up in the mid lane and kill you and the one guy left helping over and over until you get a feeding Penalty and loose the game!!! Please fix this by for it kills your game! This game is so much fun. The character designs is what really got me hooked. Here’s just a few ideas for the game. 1) more maps- the battle map is just fine but I wish there were more so there’s diversity when playing games. And for the monsters on the map, they really never get any attention so maybe try something else with that? 2) Make battle points easier to get- I feel like when I win a battle I should feel like I’ve been rewarded and that it was all worth it. Well I really don’t. They give you so little and the characters cost so much. Maybe reduce their prices and/or make was to earn battle points faster. 3) this was just something I like but I can understand if people don’t like this idea. Again just my opinion. Maybe make a story mode? I don’t know I just love RPG’s. And maybe a boss rush or dungeons in the game? I feel like that would add more replayablility to the game and add more fun and challenge into the mix. Overall, the game is great and I really do recommend it to people who enjoy MOBA’s. The characters are great and the mechanics work very well. And if anyone who made the game reads this, please take some or all of these things into consideration. Thank you for reading my review! Have a good morning, afternoon, evening or night!